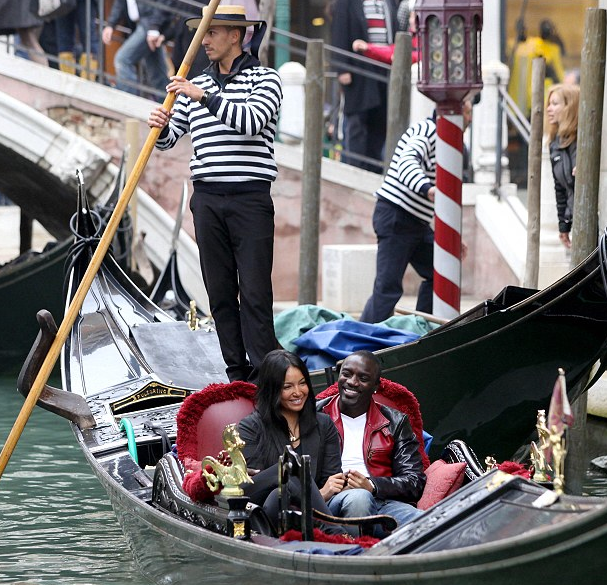 Akon was spotted on a gondola in Venice, Italy getting cuddly with his newest mystery chick girlfriend. He was spotted on a trip to Venice, Italy over the weekend. Check the photos of Akon and his lady inside….. He and his mystery chick, who rocked a pair of studded-leopard Louboutin booties, took a long romantic gondola ride. The trip was one stop the couple made before Akon’s concert in Abu Dhabi.